Workroom casework counters and upper wall cabinets ship pre-kitted and ready to install. Each kit comes with a base cabinet at counter height and an upper cabinet for overhead storage. 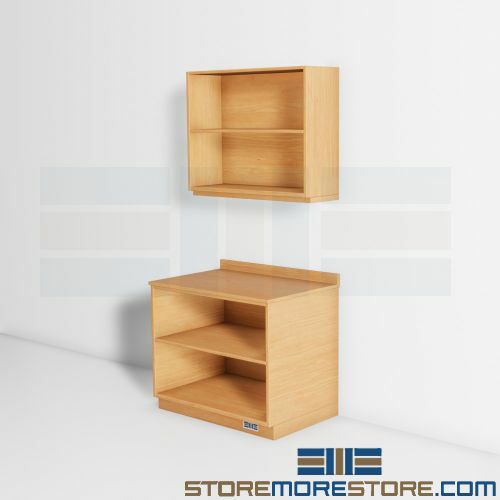 Additionally, kits come with or without hinged doors on the upper and lower cabinet depending on what model you choose. What makes these casework kits unique is their visual similarity to built-in furnishings with the flexibility and reusability of modular components. All you need to do is install the cabinets where you need them and reconfigure them as needed. If you need to relocate the cabinets to a different room or a new building, it’s easy to take them with you for reuse so you don’t have to buy new furniture. Also, if you find that your system needs expansion, it’s just as easy to add on to the casework with the design features you need. Additionally, the workroom casework counters and upper wall cabinets are GREENGUARD® certified and feature recycled materials to support sustainability measures for environmental friendliness. These casework kits come prefabricated and ready to install, but we can also design custom configurations with a variety of components and materials. 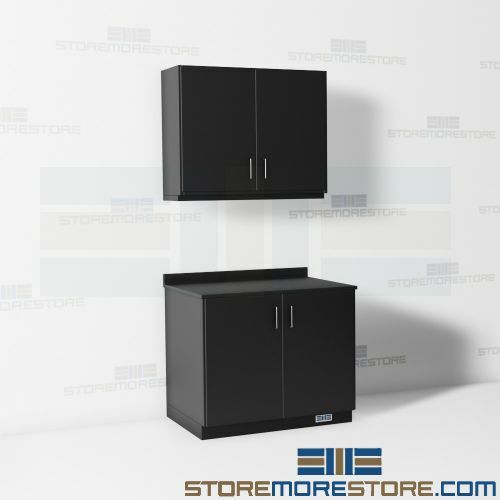 Workroom casework counters and wall cabinets are available to buy online and are available in 25-30 business days (plus 4-5 days for shipping) with free dock-to-dock shipping included. If you need any assistance or just want some help picking the right solution for you, please call us at 1-855-786-7667.